FishDuck.com sports reporter Ashley Young was at the Ducks spring practice Friday afternoon and caught up with Don Pellum. 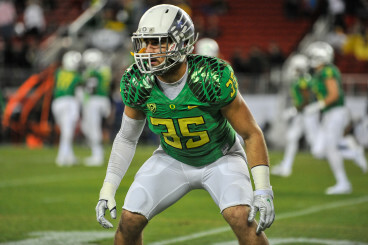 Walker is a key veteran for the Ducks defense. Much is expected of the big senior and he looks primed to take on that role. After 13 tackles for loss and a total of 81 on the season last year, Buckner is entrenched as a star and model for the rest of the defense to follow. With so many new faces vying for starting roles this season, there has been talk that we could see a new system at work. However, Pellum quickly shot down any ideas about the Ducks using a 3-4 scheme in 2015. “[As a] staff we haven’t had any discussions of switching to a 4-3, we are gonna continue to be a 3-4 operation.” Pellum did let us in on the fact that blitz packages are going to look different but has no intention about changing the overall scheme. The Ducks have plenty to work on in order to be prepared for their season opener against Eastern Washington on September 5 in Autzen Stadium – which gives coach Pellum and his defense a tight time table for them to achieve their goals. 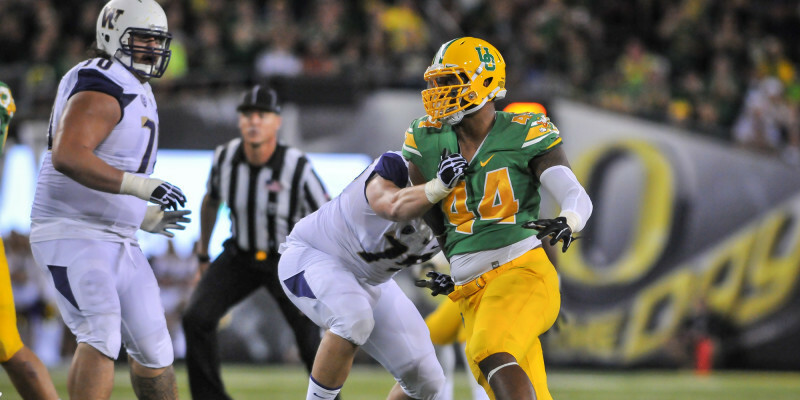 With so many unknowns, one thing can be made certain, the Duck defense is set to make a statement in 2015.